Hi! I'm Bob Chappell (aka Mister Musicarta), and I live in Cape Town, South Africa. 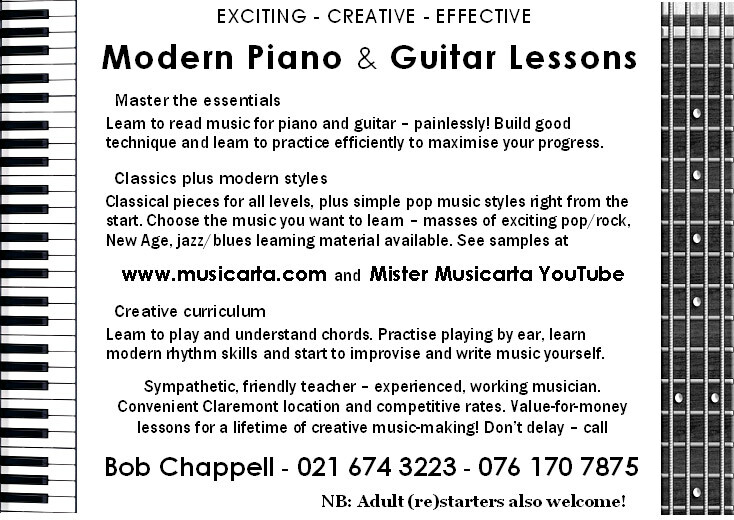 If you live here too and you're looking for interesting piano or guitar lessons, you're in the right place. Read on! Electro-friendly, modern teaching room in Roseville Road (see map). NOTE that there is no right turn into Roseville Road off Imam Haron (old Lansdowne) Road. Go down one street and turn right into Oakfield Road at the green Hearing Institute and then right at the end into Roseville Road. Number 5 is on the right on the next corner. 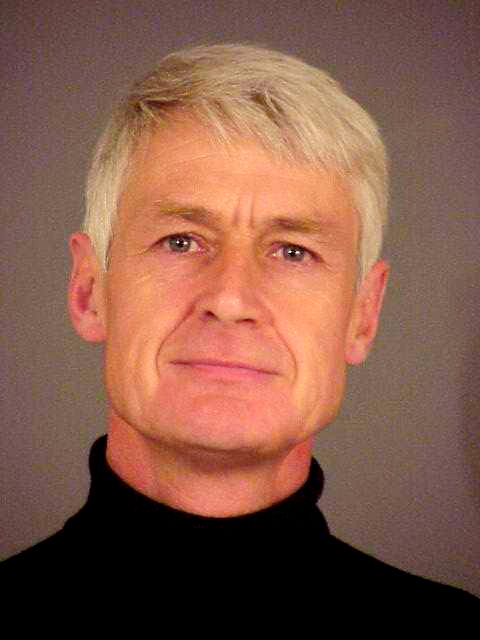 Read my bio and curriculum details at this URL. Everybody learns good technique and how to read music, keep time and so on. Piano beginners work through a few 'tutor' books (see list below), but mainly I'm interested in helping players become MUSICIANS who can "just sit down and play". You can get a good idea of how I go about this from my teaching website www.musicarta.com and the sister video channel Mister Musicarta YouTube. 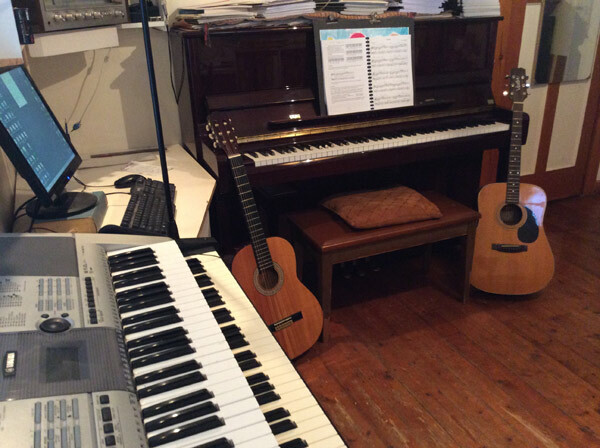 These two sources are piano-based, but the same approach and feel applies to guitar lessons. Progress and satisfaction guaranteed! Get in touch right away to book your free trial lesson. Please read carefully! In order to put time aside for you in my teaching schedule, I need to know that you understand and accept these terms and conditions. Piano lesson term dates follow the Western Province state school term dates, and are only available by the term on that basis. A full half-term’s notice is required to terminate lessons. The lesson time agreed applies to the the first weeks of the following term as well, regardless of school extra-mural activities. Missed lessons may be re-scheduled during the same week at the initiative of the Parent. The Teacher will make every effort to accommodate, but Saturday morning of same week must be acceptable if no other alternative time can be found. Only lessons missed due to the Teacher being unavailable can be brought forward to the next term. Lessons will not be given on public holidays or charged for - your invoice will reflect this. Invoices are sent out in the first week of the term and payment is due the second week. Paying your invoice indicates agreement with these Terms and Conditions. Note that new pupils are offered a probationary five-lesson package to check teacher-pupil compatibility. Applicants are accepted as pupils solely at the discretion of the teacher. Applicants must be able to supply a home or work land line and proof of residential address as required. The teacher is at no time legally obliged to admit any person onto the teaching premises. I teach to Western Province state school terms. The term dates for 2016 are as follows. Lessons are not given on public holidays and will not be invoiced for. Please see Ts and Cs paras 2 and 3 above regarding new term lesson starts. Essentially, your old term lesson time stands until you change it. 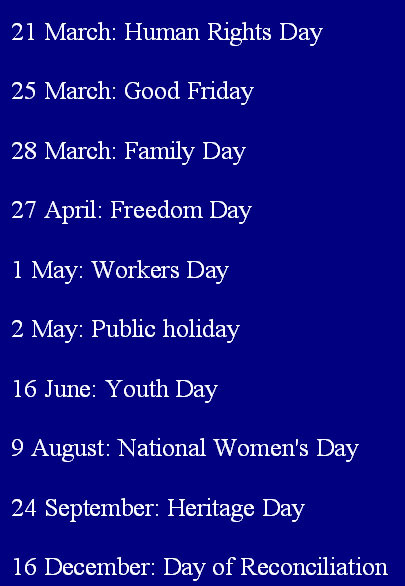 Public holidays 2016 are listed below. No lessons will be given on public holidays or invoiced for. 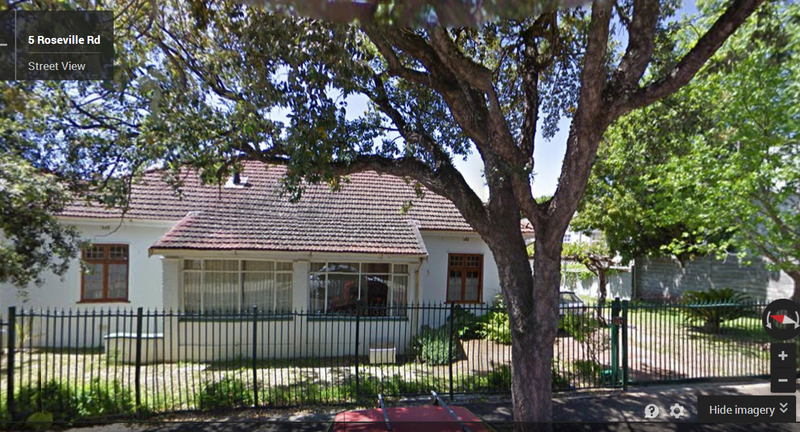 Turn off Palmyra Road into Mayfair Avenue opposite Rondebosch High School Nassau Centre (white auditorium building). Hellenburgh is first left. Phone ahead for stock and to collect. CASH SALES ONLY! James Bastien: First Piano Repertoire Album. Pupils should have a flip file for loose sheets and hand-outs. Remember, you are always welcome to select something from this Musicarta site or from Mister Musicarta YouTube to learn in your lessons! Charles Louis Hanon (1819-1900) wrote 'The Virtuoso Pianist', which has over time become the standard-issue set of finger exercises for keyboard players. Download the first set here and get to work! Once you understand the patterning, you can use this shorthand version. These links send you to free-scores.com - an invaluable resource for teachers and pupils alike. Bookmark it! Piano professionals - tuners etc. Digital pianos with a weighted keyboard are an acceptable alternative. You can also hire or hire-to-buy pianos. Try Ian Burgess-Simpson in Muizenberg first. The best first guitar (nylon string) is the Yamaha C40M, quoted R1,200.00 at Paul Bothner's, Plumstead, October 2014. Ring around (see Music Shops below) for supplies and prices. Your guitar must be in tune! The best tuner to buy is the Cort E610C - about R120.00. Some guitars now have built-in tuners - check before you spend! Parents should check their child is tuning his/her guitar regularly. You can't practice on an out-of-tune guitar - even the right thing sounds wrong! You can also tune your guitar using one of these online guitar tuners. Find one that 'works for you' and keep your guitar in tune! Lost that bit of paper again? Download the chord shapes pdf here! Local is lekker! Traveling further than you have to for lessons is a huge disincentive. You can find other piano teachers in South Africa in the Steinway Teachers directory. For tuition in Cape Town specifically the Music and Musicians listing is invaluable. If you're looking for training on Sibelius notation software, visit Engela Fullard's 'Note-so-Easy' website.